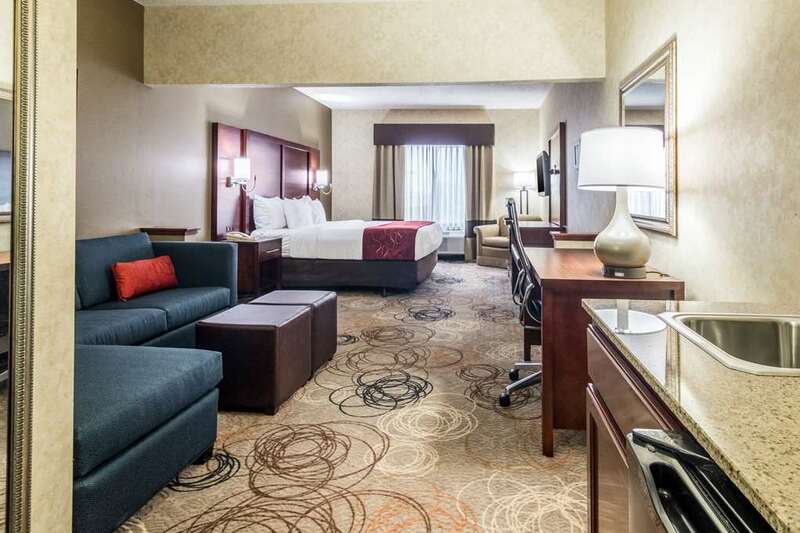 When business calls you to the Detroit area, get the space you need to spread out, relax or work at the Comfort Suites in Southfield, MI. Our all-suites hotel is located within three miles of many Fortune 500 companies including Aon, AT and T, Lear Corporation and Eaton. We are happy to serve travelers like you with amenities such as free WiFi, free hot breakfast and weekday newspaper, a fitness center, indoor heated pool and laundry facilities. Our smoke-free guestrooms feature TVs, coffee makers, desks, safes, refrigerators, convenient AC and USB outlets, irons and ironing boards. Also, earn rewards including free nights and gift cards with our Choice Privileges Rewards program.